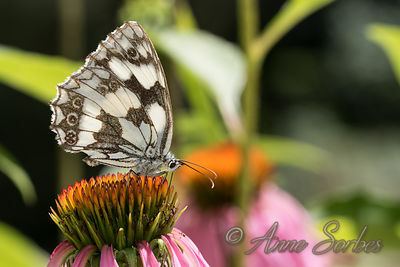 Marbled White gathering nectar of a Purple coneflower in my garden. 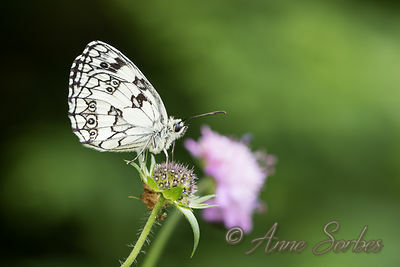 Marbled White male resting on a scabious flower in a wet meadow. 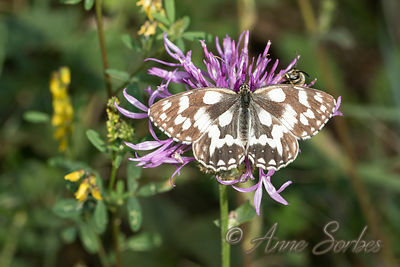 Marbled White ab procida (The white spots are much thinner than in a typical individual.) 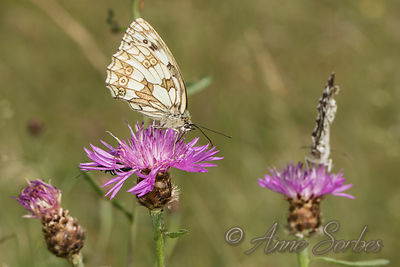 male gathering nectar of a greater knapweed flower in a meadow of Diois. 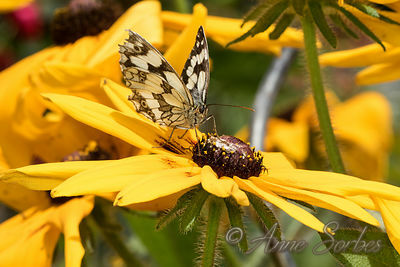 Marbled White gathering nectar of a coneflower in my garden. 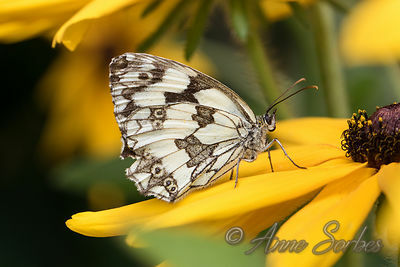 Marbled White resting on a coneflower in my garden. 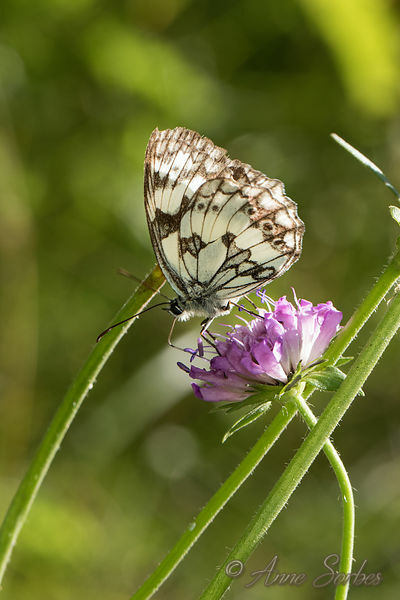 Marbled White male gathering nectar of a scabious flower in a wet meadow. 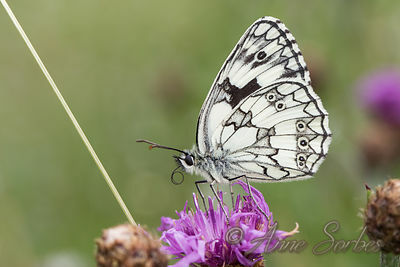 Marbled White female gathering nectar of a knapweed flower in a wet meadow. 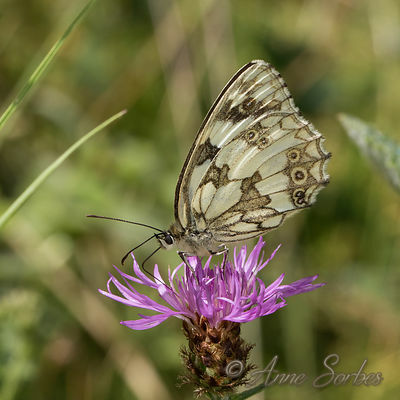 Marbled White gathering nectar of a knapweed flower in a wet meadow. 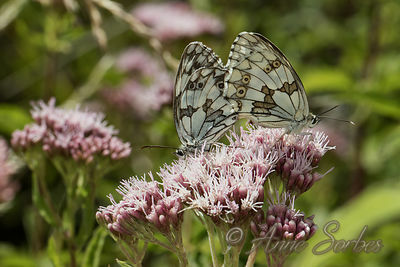 Mating pair of Marbled White butterflies on a hemp agrimony in bloom in a meadow. Pyrénées Orientales, France. 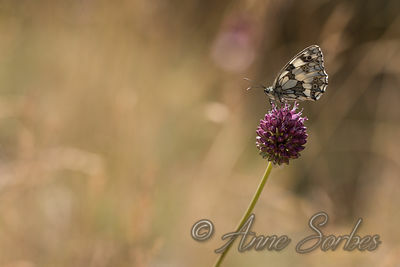 Marbled White male exposing its wings in the sun on a calcareous hillside. 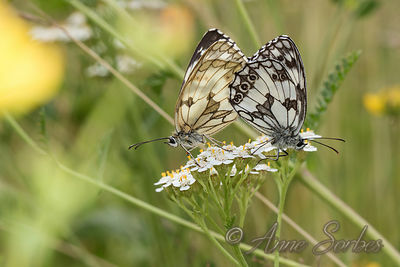 Mating pair of Marbled White butterflies on a yarrow flower in a wet meadow. 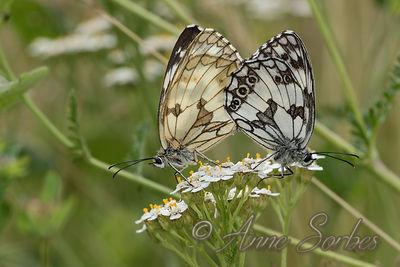 The male on the right is typical, bet the female on the left has an aberrant form, we see only traces of eyespots which are usually visible. 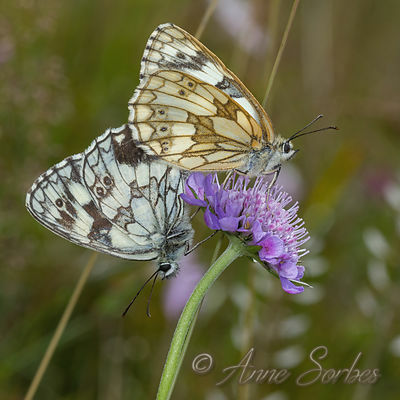 Mating pair of Marbled White butterflies on a scabious flower in an alpine meadow. 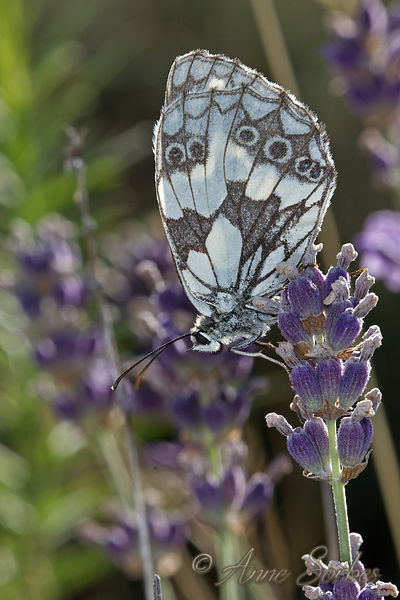 Vercors, France. 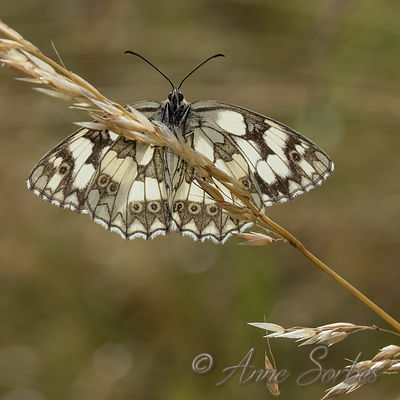 Marbled White taken in backlight in a field of lavende. Drôme, France.